Food Lion LLC is a grocery store in America that is popular for operating near about 1,300 super markets in almost 11 South Atlantic and Mid- Atlantic venues. Headquarter of the company is in Salisbury, North America. The company also supervises supermarkets in other US states like West Virginia, Tennessee and in Kentucky as well. They employ more than 73,000 employees in their various centers. Record says that this organization is the biggest subsidiary of the popular Delhaize Group. This company was founded in the year 1957. Beth Newlands Campbell is the vice president and James Egan is the president of this organization at present. There are currently 6 consumer reviews about Food Lion, Llc available. Share your review. Bought a money order from Food Lion in Martinsburg WV nd no longer needed it. The bill was paid for already nd the store, which I purchase from them, wouldn't cash it or let me use it to purchase grocery. Eleven dollars is all it is. The money order. I never heard of such bull. I know I can't use it no where else cause I didn't purchase from them so no one will tke the money order to cash. I saw your commercial concerning Wal-Mart. I shop at Wal-Mart and don't agree with your commercial. When I go to Wal-Mart the prices are much less than your prices. The workers are kind and if you need assistance they take you to the product you are looking for.I only shop Food Lion when you have sales and I only need a few items.I find that Wal-Mart prices are still less than your prices. I'm sure you have not compared prices. If you had you would not have made such a bogus commercial. I'm not sure what has happened at the store on 971 N. Main St in Mooresville, NC, but I'm rapidly losing patience. Several months ago, a "temporary manager", Vadele (?) came in and customer service has gone downhill. Minor complaints and suggestions are met w/ a sneer and on several occasions I have observed her yelling, loudly at staff in the aisles in a demeaning way. You have a great butcher there named Mike and whenever he has tried to help me pick out some items needed for large family gatherings, she has yelled at him to stop socializing and get to work. The atmosphere there has gotten so tense that I try to avoid going in now. Several great employees have left, either quitting or asking for a transfer. I don't understand why things continue to worsen and I and other neighbors have contacted the main headquarters, to no avail. If things don't improve soon, I'm taking my business elsewhere. What used to be a great neighborhood store is anything but now. I live in Ocean Pines, MD. Your store in Pennington Commons is the nearest grocery store to my home. Today I tried to shop for some staples, and found that this Food Lion no longer carries Red Rose Tea, my favorite tea. You used to carry it. I spoke with Store Manager, Mike Zucherro (spelling? )who could not tell me why you have stopped carrying it. The Walmart, a little ways down the road carries it. I prefer to shop at Food Lion, but when I can not get everything I want, I will go one place (Walmart)rater than begin shopping at two. I shop at Food Lion (#0897) and I enjoy shopping there but there has been a couple of times when I have purchased out of date or spoiled products. I bought a container of Ruth's Slaw and when I got home and looked at the date on the bottom of the container it was dated with an expiration date of 9/25/14. This is the end of October. I wonder if the manager is checking behind his vendors to make sure he is getting correct stock. I will not buy any more products like that anymore. My family could have gotten sick from out of date food and that bothers me very much. 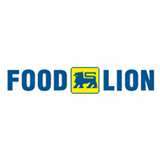 Please take a note that you are about to post a public review about Food Lion, Llc corporate office on CorporateOffice.com. This review will be public, so please do not post any of your personal information on this website. If you would like to contact the corporate offices of Food Lion, Llc, please use their contact information such as their phone number, website, and address listed above to contact them. However, sometimes staff from Food Lion, Llc headquarters do read the reviews on this website.